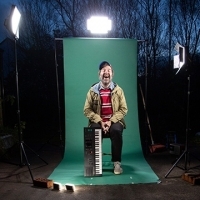 Award-winning literary and musical Irish stand-up comedian who performs some of his act with small electronic pianos and keyboards to comedic effect. He has written shows such as: "Rory Sheridan's Tales of the Antarctica", "Seize the David O'Doherty", "David O'Doherty Will Try to Fix Everything", "David O'Doherty Has Checked Everything", "We Are All in the Gutter, But Some of us are Looking at David O'Doherty", "Big Time" and "You Have to Laugh". David describes himself as "the Aldi Buble" or "the Ryanair Enya".